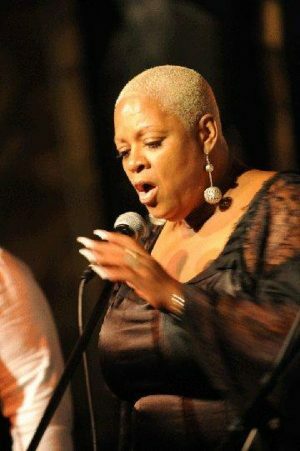 The “Backstage at the Lincoln Theatre” concert series returns this week with the vocal talents of Sabrina Clemmons Tutstone. Sabrina Tutstone has been singing for most of her life, and her skill has led her down the paths of songwriting, mentoring others, and making music. She has opened for artists such as Gene Walker, Bobby Floyd, and Janette Williams. She is also a lead vocalist in the Harmony Project Choir which focuses on “giving back to the community through song and action” by performing two large concerts a year along with other small events, and by aiding programs such as Toys for Tots and the Mid-Ohio FoodBank. Aside from her performances, Sabrina has also been a vocal instructor and recorded her own jazz-focused album titled It’s Never Too Late. The Backstage at the Lincoln concert series offers you the extraordinary opportunity to be seated on stage for a performance with your favorite local artist. Set against the hand-painted grandeur of the Lincoln’s Egyptian Revival-style motif, enjoy an exceptionally intimate concert from a perspective normally seen only by the artists themselves. Want to know more? Read Columbus Underground’s Backstage at the Lincoln interview with Suzan Bradford, our General Manager. Tickets are $10 and seating is limited. All concerts begin at 7pm at the Lincoln Theatre.